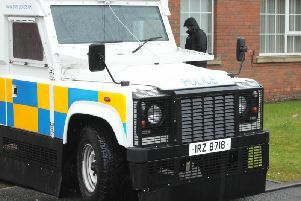 A man has been arrested in Lurgan by police investigating dissident republican activity. Detective Inspector Andy Workman said: “Detectives from Serious Crime Branch investigating violent dissident republican terrorist activity have arrested a 47 year old man in the Lurgan area. It follows the arrest in Armagh city earlier of a 35-year-old man by detectives also investigating violent dissident republican terrorist activity. He also was taken to Musgrave Police Station in Belfast for questioning.